From the harbour of St. Anthony in Newfoundland, Canada, one can board an Iceberg Watching Tour to Iceberg Alley where one can view some enormous icebergs which calved from glaciers in Greenland. The history of each iceberg varies but many of the ones seen in Iceberg Alley have journeyed for two or three years to reach this point and date back 10,000 to 15,000 years. 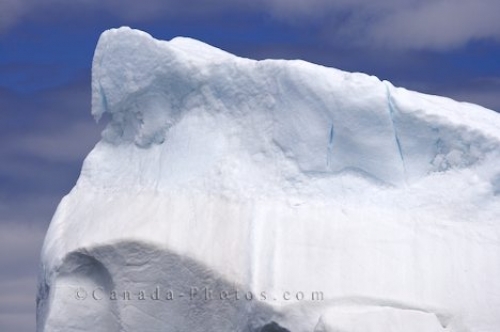 Picture of an iceberg in Iceberg Alley in Newfoundland, Canada which has a long history behind its amazing journey.